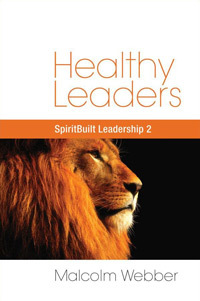 The most central and important characteristic of a healthy leader is a strong personal relationship with Jesus Christ. Servant leaders lead out of a deep and abiding security in Christ. Abusive leaders, however, usually are very insecure. There are other reasons why certain leaders become abusive, but insecurity is one of the main ones – especially in the church. Spiritual leadership must be the natural expression of the divine calling. It must not be for the purpose of proving to everyone else – or even to the leader himself – that the leader possesses the calling. How can you tell which you are? When someone rejects your leadership, how do you feel? Personally rejected? Does it hurt your feelings that you personally are not received by someone as a leader? Do you personally identify with your ministry? What does it mean to you to be a leader, or to have a ministry? Why are you seeking a ministry? Does it mean that you “count” now, that you are “important” now? Or that now you simply have a positive responsibility to fulfill? Which one? What does your response indicate? When you encounter conflict in your leadership, does it feel like a competitive game and test of wills with others or a healthy dialogue and positive debate? What does your answer tell you about yourself and your leadership? If you often take questions as challenges, does that reveal an underlying insecurity? In true leadership, the purpose is the central issue. In abusive leadership, the person of the leader becomes the central issue. When a task that you say represents your vision is successfully accomplished by someone else, are you as happy about it as when it is accomplished by you? For example, are you as pleased about the church down the road leading many souls to the Lord, as you are when your own church does this? Does your answer indicate whether your vision is purely purpose-based or person- (self-) based? The servant leader truly serves his people by leading them in such a way that their best interests are served and they find fulfillment. The essence of abusive leadership, however, is that the leader uses the followers for his own selfish purposes. The servant leader will articulate a vision that serves the interests of the whole organization. Seeing himself as fundamentally equal with his followers, he will lead in a non-self-aggrandizing manner, and he will actively empower and develop his people. The abusive leader, on the other hand, is domineering and narcissistic. He has high needs for power, driven in part by his own personal lack of peace and security in Christ, and will promote goals that reflect his own self-interests. He will play on his followers’ needs as a means to achieve his own interests (Acts 20:30). He will largely disregard the feelings of others, and will demand unquestioning obedience and dependence in his followers. Who will really benefit as a result of your leadership or ministry or a specific decision? Yourself or the people? In what specific ways? Are you actually empowering people? Or does everyone need your permission to do everything? Do you give them permission to do it their own way or only your way? The abusive leader will frequently emphasize identification with, and devotion to, himself over a more straightforward embracing of the values and goals he is ostensibly promoting. Who do you talk about? Who do you promote? Yourself, others, the Lord Jesus? What can you learn from this? Regarding vision, problems occur when domineering leaders possess an exaggerated sense of the opportunities for their vision, when they grossly underestimate the resources necessary for its accomplishment, or when they seriously underestimate the obstacles that stand in the way of its fulfillment. In addition, visions often fail when they reflect largely the leader’s needs rather than the legitimate needs and aspirations of his constituents. A self-absorbed leader may also be unable to recognize fundamental shifts occurring within or around his organization that demand redirection of the vision. Abusive leaders are prone to exaggerated self-descriptions and claims for their visions, which can mislead their followers. For example, they may present information that makes their visions appear more feasible or appealing than they are in reality. They may screen out looming problems or foster an illusion of control when things actually are out of control. In these ways abusive leaders manipulate, and ultimately take advantage of, their followers. Other abusive leaders create excessive dependence on themselves and then alternate between idealizing and devaluing dependent subordinates – particularly those who report directly to them. Do you promote rivalries based on loyalty to you? Perhaps you don’t promote them but do you stop such rivalries if they begin? Domineering leaders often have a difficult time developing successors. They simply enjoy “center stage” too much to share it. Sometimes they will have a “puppet” understudy, but to find a replacement who is a genuine peer may be too threatening for such narcissistic leaders. Our next Letter will look at the role of insecure followers .